Every Christmas we spend a lot of time and money finding the perfect gifts for our loved ones, why not choose to give a gift that also makes a difference to those in need? With World Vision’s 2016 Gift Catalog, you can do just that. Your loved one will receive a beautiful handcrafted gift, while your donation goes to help children, families, and communities in need around the world. Last year over 122,000 Americans raised over 29.3 million dollars through the Gift Catalog, helping meet the needs of 650,00 people around the world. When you donate, or give a gift through World Vision, you can be confident that your gift will really reach children, families, and communities. World Vision is committed to keeping overhead low, and last year 84% of their expenses went towards programs that help those in need. World Vision provides assistance in nearly 100 countries, and each dollar donated to World vision achieves $1.30 work of impact for people living in poverty worldwide! The 2016 catalog contains more than 250 items to choose from, including 30 gifts that are $35 or less. When you choose a gift from the World Vision Catalog, your gift recipient will receive a card letting them know about the life-changing gift that has been given in their name. Choose from gifts that changes lives and communities, such as farm animals, medicine, schooling, shelter, and wells. You can also choose to give a general donation to the Where Most Needed fund, that will be used toward needs that would otherwise go unmet. If you’d like to give a tangible gift to a loved one to remind them of the donation made in their name, then choose to receive a handcrafted gift along with your donation to the Where Most Needed fund. 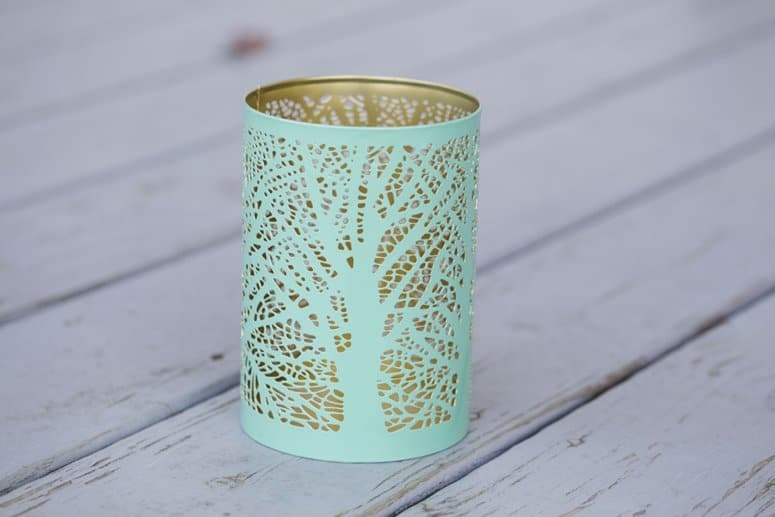 Look at this amazing sampling of the handcrafted gifts you can choose from when you donate to the Where Most Needed fund: The tree of life votive holder, made by artisans in south-east Asia who transfer cast-off metals to light the way for their children’s education. A royal silk scarf made by Vietnam’s Ma Chau villagers, who weave these beautiful scarves for sustainable income. 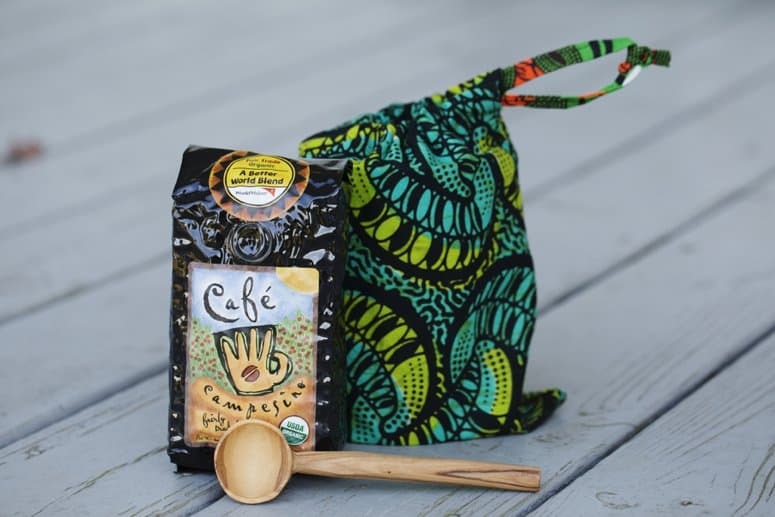 A fair trade coffee set from Africa from farmers who are overcoming poverty with their earnings. 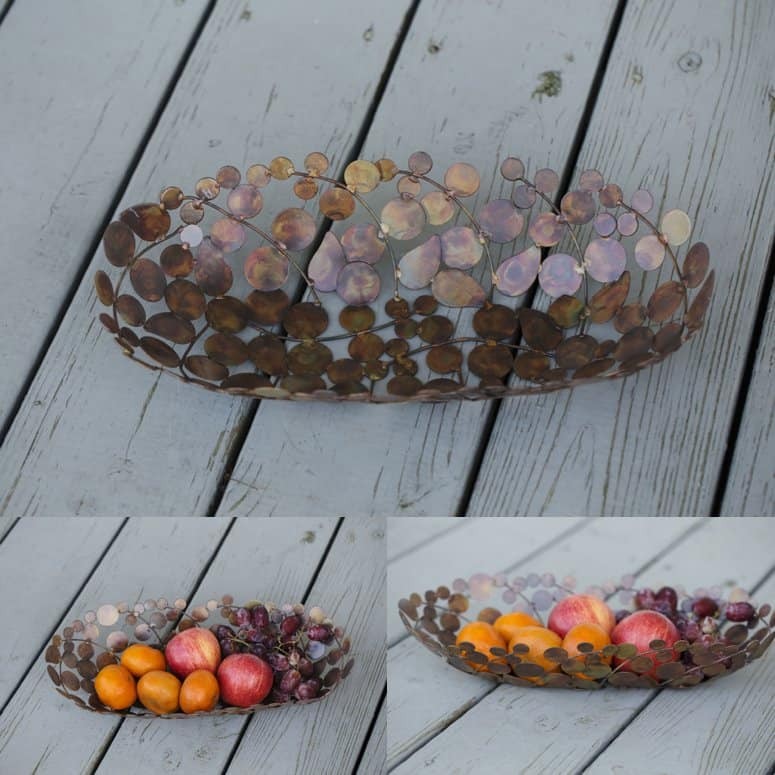 Upcycled artisan bowl made by artisans in india who hand bent and solder industrial waste like wires and metal into inspirational shapes. A turquoise medallion necklace made by families in Delhi. A mango wood mango bracelet made by a creative community on the island of Java in Indonesia, who uses the proceeds from these unique bracelets to provide income and care for their children. Go check out the World Vision Catalog today, and choose a gift that will make a difference for a child or family in poverty this Christmas! Connect with World Vision on Facebook, Twitter, and Instagram. One lucky reader will win a box of goodies, just like the ones I pictured above from World Vision. Help us spread the word about World Vision for a chance to win! The people who make these crafts do such a great job. The scarf would go with so many different outfits. These are beautiful gift items. World Vision does a remarkable job. I love what World Vision stands for, beautiful products. Such a wonderful cause. Lovely gifts. World Vision is amazing! Beautiful gifts anyone would love and appreciate! This is awesome! I'll have to do some of my Christmas shopping there. They have beautiful things for great causes! Thank you! I'd love the silk scarf for my daughter. 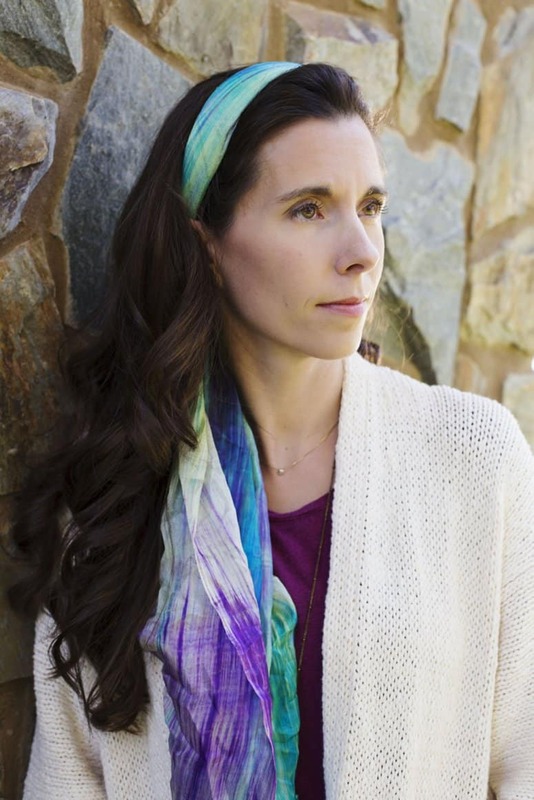 I so so so love the scarfs they are so very pretty and I would love to have one of those. Really cool items and a nice way to support a cause. World Vision has such beautiful pieces for such good causes. I especially love the royal silk scarf. I've seen the World Vision gift catalog around and I've loved everything I've seen. I like the variety and how there's gifts for everyone! Cute items! These would make great gifts!! These are very unique items! I never knew about World Vision before and will now continue to check their products out. I just love world vision, and I think this is a great cause. There are some truly beautiful items featured on your post. I am so impressed. World Vision has many beautiful hand crafted gifts. One of my favorites is the Capiz Shell Coasters. I love how unique these products are and it seems so much more personal that's it's handmade.